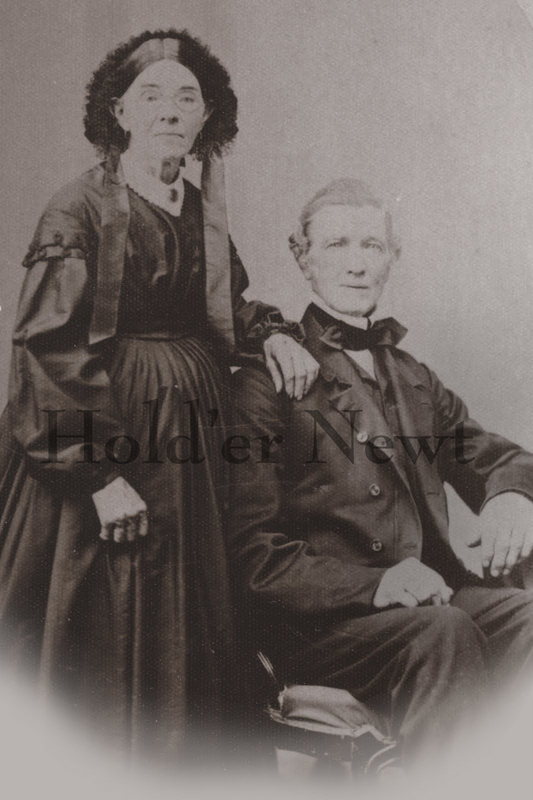 Josephus Dunham Jordan was born 16 Jan 1808 to William Jordan and Rhoda Sackett Allen in Hillsdale, Columbia County. He studied law with his uncle, Ambrose L Jordan. 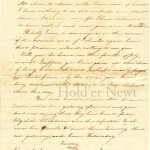 After his admission to the bar he practiced his profession at Hudson, N. Y as well as in Dutchess Co. He came to Pine Plains in the 1830s. He supported the Republican party. His grandfather, Major William Jordan fought in the American Revolution. 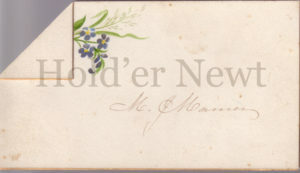 On 13 Jan 1844 he married Mary Elizabeth Knickerboker (19 Oct 1819 – 29 Dec 1870), daughter of John Knickerbocker and Maria Benner (the author’s 4th great-grand parents). 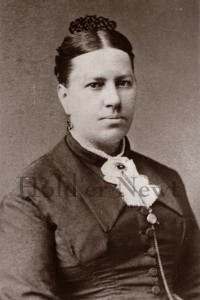 They had three children, Mary Burnap, William Burnap, and Laura Ailing. Later in life, Josephus was a farmer by profession. He lead the choir at the Pine Plains Presbyterian church from 1837 until 1879 and helped raise money for the church’s first pipe organ. He died 12 Sep 1885. Mary Burnap Jordan (left) was born 2 Mar 1846 and died 13 Dec 1874. She never married. At 23 in 1870 she was listed in the census as “at home” rather than any occupation. She played the organ at the Presbyterian church in Pine Plains and gave lessons. Their next-door neighbor was a retired farmer named Cyrus Burnap, which is probably the reason for two of the children having Burnap for a middle name. 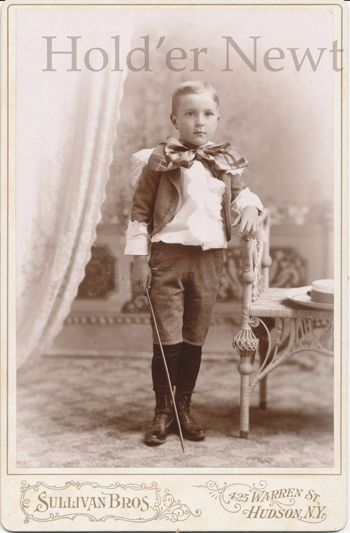 William Burnap Jordan was born 4 Dec 1848 in Pine Plains. He married first Mary Elizabeth Harris (portrait below) from Grand Rapids, Michigan (07 March 1854 – 16 November 1889). They had three children, Mary Elizabeth Jordan born 1877, Cyrus Victor Jordan born 1880, and William Burnap Jordan born 1885. After Mary Harris died, William married second her half–sister Myra Harris (1866 – 1953). 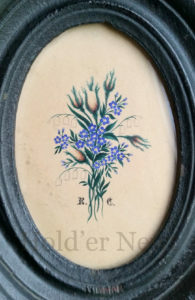 They had one child together, Isabel Knickerbocker Jordan born 1898. William any Myra are pictured below in December, 1923. He died 31 Mar 1933. 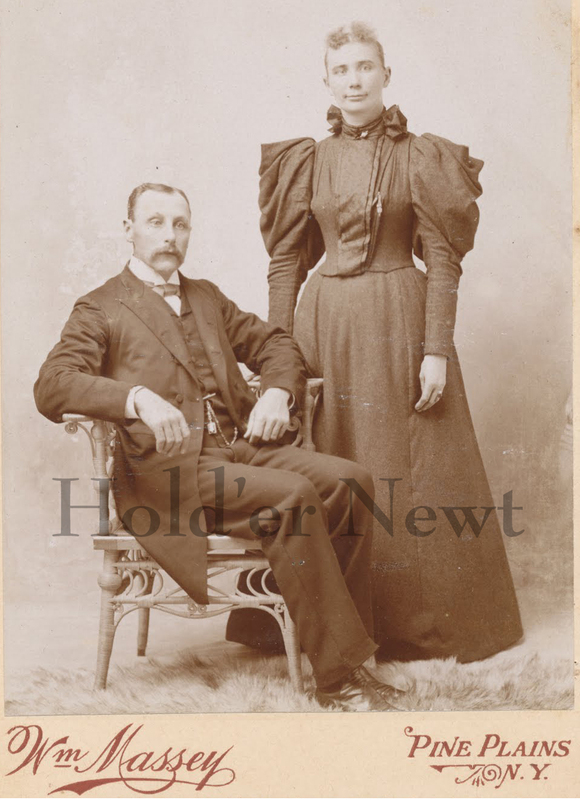 Laura Ailing Jordan (right) was born 07 Nov 1852. 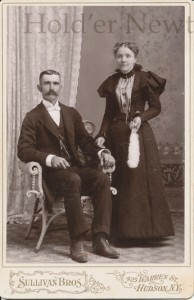 She married Lucius Allen Pitcher and they had two children, Henry Burnap Pitcher born 1874 and Laura May Pitcher born 1880. 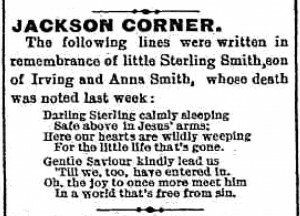 She died 06 May 1884. Josephus, his wife Mary, and their children are all buried in the Evergreen cemetery in Pine Plains. 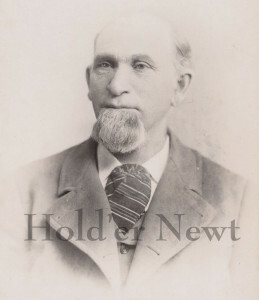 James William Hermans was born in June of 1834 in the Town of Milan to Henry Hermans and Gertrude “Gitty” Link (the author’s 3rd great-grandparents). He, like his father and numerous siblings, was a farmer. He married c. 1863 Anna W Olivett, daughter of Isaac Olivett and Maria Kipp. 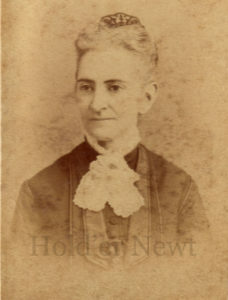 They had two children, but only one (daughter Emily) is known to have lived to adulthood. James was known as Jim to his family and died 17 Jul 1920 in Staasburg. Anna died 6 Jul 1927 and they are both buried at Wurtemburg cemetery. 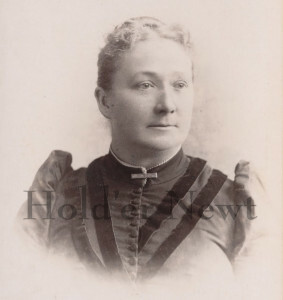 Emily A Hermans (or Hermance) was born in 1865. 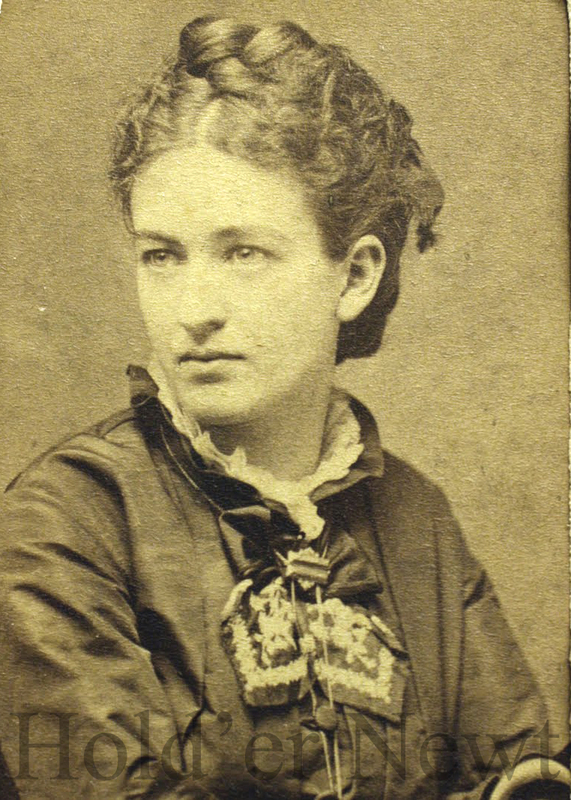 She married c. 1889 Charles H Husted. In 1900 they were living with her parents and had no children. 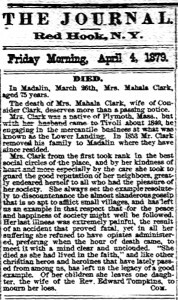 Emily died 7 Mar 1928 in the Town of Clinton. 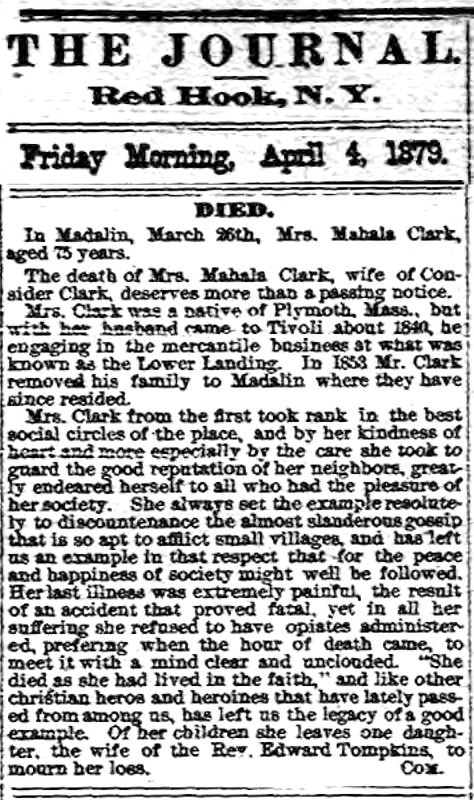 She was an invalid and mostly helpless for several years before her death. She and Charles are buried at the Schultzville cemetery. 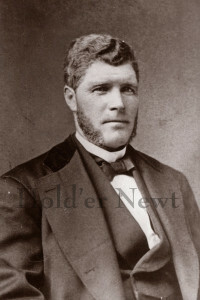 Charles was born May of 1857 son of Orin and Harriet of Hyde Park. He died in 1930. His daughter from a prior marriage, Mabel (who married Harry W Johnson of Poughkeepsie), inherited over $1,300 from him when he died on 3 Sep, 1930. His funeral was on 5 Sep 1930 at the Schultzville Church. They are pictured at right. 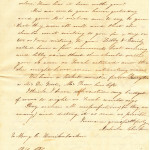 William was born 23 Aug 1798 in Taghkanic, NY to Jacob Felter and Anna Delamater. 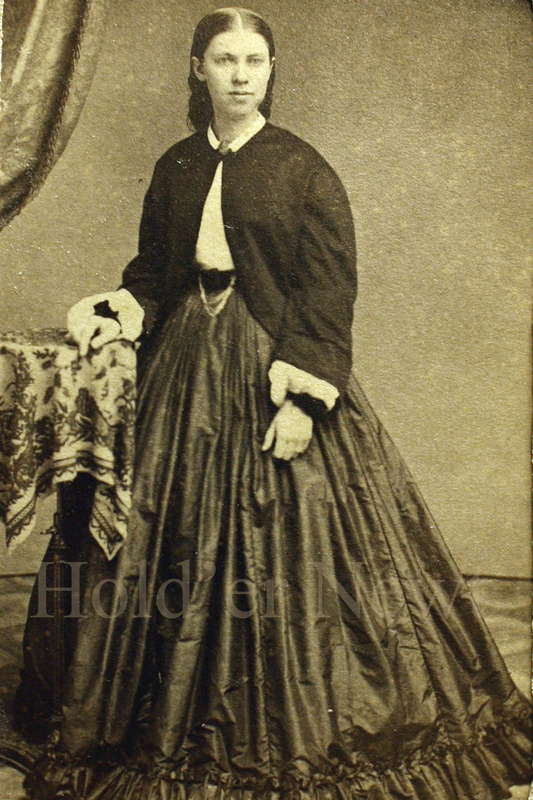 Catherine was born 22 Aug 1800 in NY to Peter P Fraleigh and Elizabeth Schmidt. Peter P Fraleigh was one of this author’s ancestors. William and Catherine married 7 Oct 1821 according to her father’s bible. 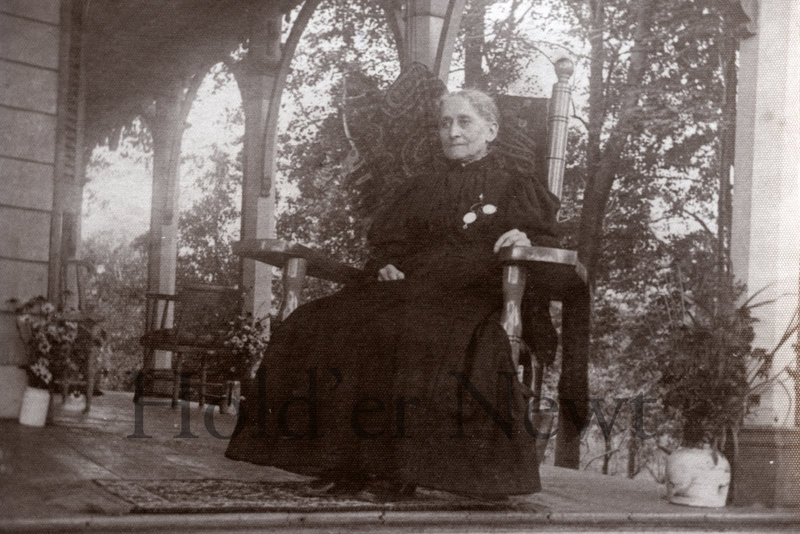 They had at least two children: Mary Feller 1827-1913 who married Alfred Rennsalaer Westfall and George W Feller. 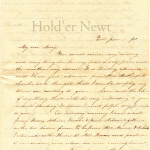 George was born 15 Dec 1831 presumably in the area of Germantown, NY. He married first Barbara Anna Younghanse (born c. 1835 daughter of Henry Jonkhans of Gallatin) on 2 Oct 1854. It’s presumed that she died before 1870 as in that census, George was married again to Sarah Saulpaugh, a daughter of John I Saulpaugh. 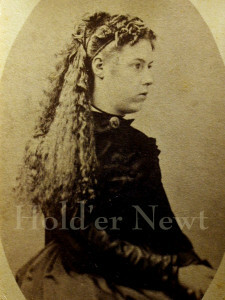 Sarah died 3 Mar 1898. George left a large sum of money to his sister Mary when he died and they did not have any children. George and Sarah lived in Nevis, a hamlet south of Clermont, NY. Their portraits are below and they might be buried at a Lutheran cemetery in the area. Millerton is a vibrant little place with two main roads that bring much-needed traffic to its businesses, restaurants, cafes and boutiques. Until the 1990s or so, Millerton was a village in decline as the local agricultural industry faded. The Harlem line of the current MTA out of Grand Central Station in New York City ends at Wassaic, but trains once ran from there through Millerton and connections were available to Connecticut. Passenger service to and from Millerton ceased in 1976 and shortly after that, freight trains stopped as well. The trains that had previously transported both people and milk and were for more than 100 years the link that made Millerton a bustling hub were brought to the area by Sidney G. Miller and his company on contract with the New York and Harlem Railroad. There is in Millerton (as with many small Northern Dutchess towns and villages) a love-hate relationship between the full-time residents of the locale and the visitors or second-home owners from “The City”. No one can deny that the influx of those of a more southerly origin has brought a higher level of prosperity to our Main Street. It is obvious in the many wonderful places to eat and the boutique stores found there. But this influx has also brought high price tags on both meals, antiques, and real estate that those who are originally from the area find disquieting. Thus, “City People” get a bad wrap (and often worse monikers). I was surprised and amused to find that Sidney G. Miller was not a local; that in fact, the man for whom Millerton was named, was a “City Person”. Sidney Green Miller was born c. 1817 in New York City. He was the son of Silvanus Miller (1772-1861, a New York City Surrogate Court Judge) and Margaret Ackerley from Long Island. 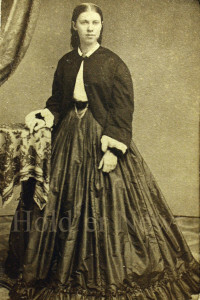 He married Sarah Frances Williamson (1824-1896) daughter of (first name unknown) and Sarah (maiden name unknown, born c. 1791) on 15 Nov 1846 in Warren, MS. Frances’s mother Sarah Williamson died 23 Sep 1854 in Saugatuck (Westport), Connecticut where her daughter’s family lived at the time. Miller was a civil engineer and contractor, working for various rail road companies at the height of the mode of transport’s expansion. They had many children, including Cecily born c. 1848, Kate born c. 1851, and Sidney born c. 1854 in Connecticut, Frances born c. 1857, Theodore Williamson born 4 Dec 1859 (who married Edith Louise Gates), George W. born c. 1864, and Helena W. born c. 1868 in Virginia. The family moved quite a bit, probably following Miller’s work. 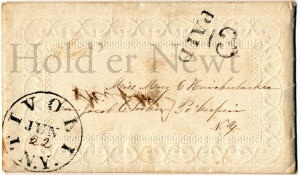 In 1850 they were living in New York City and in 1854 in Westport, CT. It was at this time that Miller worked as a partner of Morris, Miller, and Schuyler – the company contracted to work on the New York and Harlem Railroad that went through the village that would be named for him. 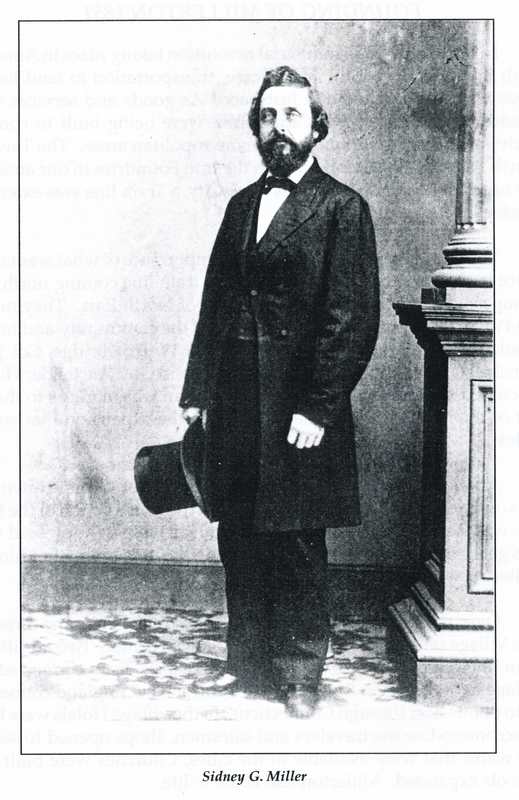 In 1856, the family of seven (at the time) moved to Alexandria, VA, renting a house called the Lee-Fendall House until 1863 when they were “forced to leave their home as the (house) was seized by Surgeon Edwin Bently of the 3rd Division General Hospital of the United States Army of the Potomac. From 1863 until 1865, the house was converted into a wing of the Grosvenor House Hospital.” Two more of their children were born in Virginia after this date. 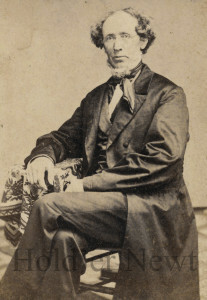 Miller’s son Sidney died in 1861 in Alexandria, VA. In 1870, they lived in Savannah, Georgia with four servants listed in their household during the census: three white and one black. 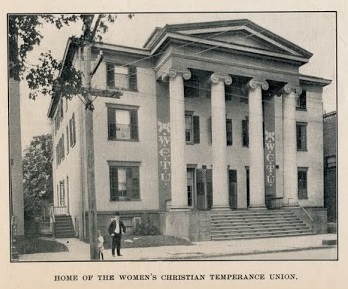 In 1880 and 1885 they were in Chatham, Morris County, New Jersey and a grandson, Arthur W Myers, born c. 1870 in Georgia was with them. Their daughter Katherine Myers is listed as divorced. Sidney G. Miller died 24 Dec 1900 in New York City at age 84. Below is his obituary. Sidney Green Miller, some years ago a well-known civil engineer – and railroad builder, died at the home of his son, G. W. Miller, 62 West Ninety-third Street, last night. Mr. Miller was eighty-four years old, and was born in this city. 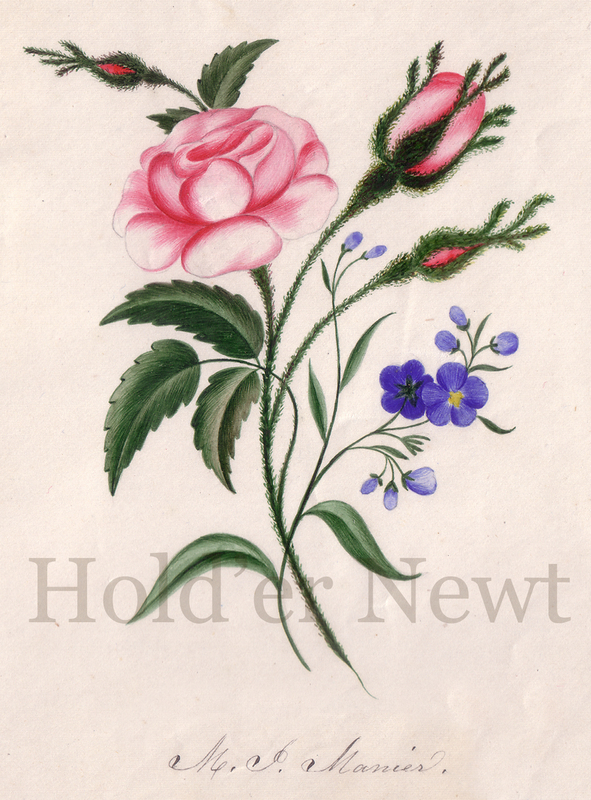 He was the only surviving son of Judge Sylvunus Miller, who was graduated from Columbia College In 1793 and was the first Surrogate of New York. 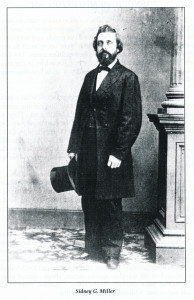 Mr. Miller was associated with Ferris Bishop In the building of the New York, New Haven and Hartford Railroad and the Naugatuck Road, and also built a number of railroads in Virginia and the South. He is survived by four daughters and two sons. Louis Berger Group, Inc. (2011) Archaeological Investigation for Restoration of the Lee-Fendall House Garden, Alexandria, Virginia, Washington, D.C. Looking through my Hermans family pictures, I found a memorial card and it inspired this entry. I don’t doubt that it has been more than 100 years since anyone has memorialized the subject of this post and that today no one remembers him at all. The census is often the amateur (or armchair) genealogist’s first glimpse into a family they know little about. Through the lenses of the 1900 census, a little boy who was born after 1890 and died before 1900 would appear only as the difference in a pair of numbers. A column of data filled in after the mother of each household is labeled “Mother of how many children” and the one directly to the right of that is “Number of these children living”. For the 1900 listing for the family of Irving and Annie Smith of Milan, Dutchess County, NY, these numbers are 2 and 1, respectively (1900 Census Milan, Dutchess Co NY page 5, ed. 14, family 96). The one living child is their daughter, Ruth. The difference in the numbers is their little six-year-old son, Sterling Smith. 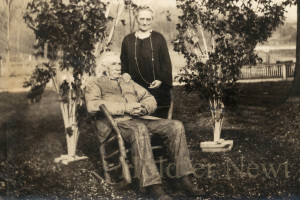 Irving Smith, a farmer, and his wife Anna May “Annie” Edleman married c. 1890. 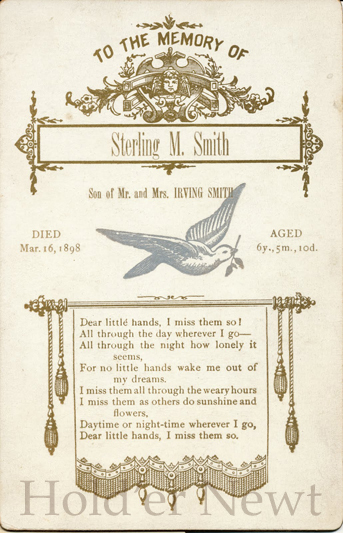 Irving Smith was born 21 Jan 1869, son of Freeman Smith and Margaret E Hermans, daughter of Henry Hermans, my 3rd great-grandfather. Irving’s family also resided in Milan so he was most likely born there. Annie was born 16 Feb 1868 and was probably the daughter of Phillip (a child of German immigrants) and Margaret Edleman of Ancram, Columbia County, just to the north. In 1900, they lived in the area north of what is now Rt 199 in Milan, NY between Red Hook and Pine Plains called Jackson Corner, down the road from my grandparent’s farm. Now-a-days, we add an “S” and call it Jackson Corners. At right is Sterling’s little sister Ruth Smith (later Mrs. Joseph Bruyette) 16 Sep 1893 – 29 May 1976. She would later be a member of the same DAR Chapter that I am regent of, today. 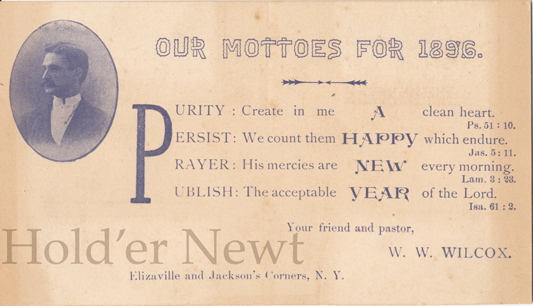 An online newspaper archive, like Old Fulton Post Cards is invaluable for its record of the goings-on in small country communities like the one that the Smiths called home. In these columns, a local “reporter” would note who had visited, who was born, married and who was ill, among other important social happenings. 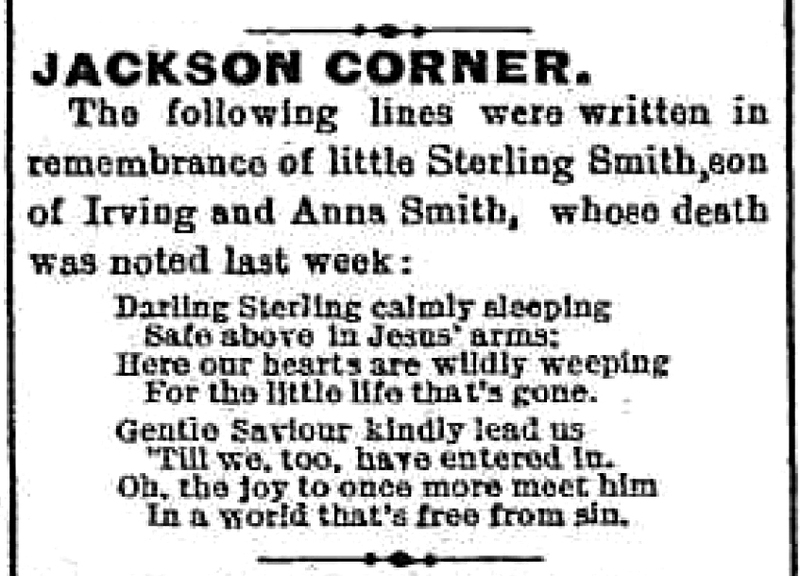 Sterling Smith was “on the sick list” as announced in the March 18th 1898 Pine Plains Register which noted that “a number in this place (Jackson Corner) are sick, two of which have the pneumonia.” In the following week’s paper, it is announced that Sterling died Thursday, March 16th. 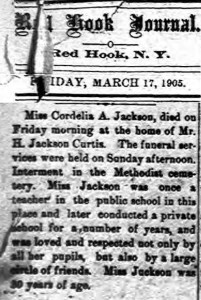 Two weeks later, the local reporter had only one story to report for Jackson Corner. Sterling was aged 6 years, 5 months and ten days. 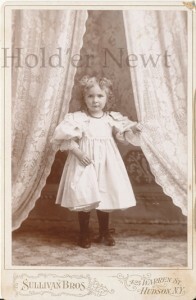 This sweet memorial card is the same size as the “cabinet card” photos found in one of our antique family photo albums. Funeral services were held on Saturday, conducted by Rev. W. W. Wilcox and E. A. Bishop. Rev. Wilcox’s card is found in the same album as the memorial card. Today, two views of the same Poughkeepsie block, Market Street between Main and Cannon. Click to enlarge each set. You’ll note the Bardavon sign and marquis on the west side of the street in the 2011 image on the right. In the 1906 image, the theater was called the Collingwood Opera House until it became a movie theater in 1923, then renamed the Bardavon. The theater is listed on the National Register of Historic Places. I don’t think I can do a better job than the Bardavon itself in describing its history, so for more information see their website – or better yet, October through June, the theater offers historic tours. 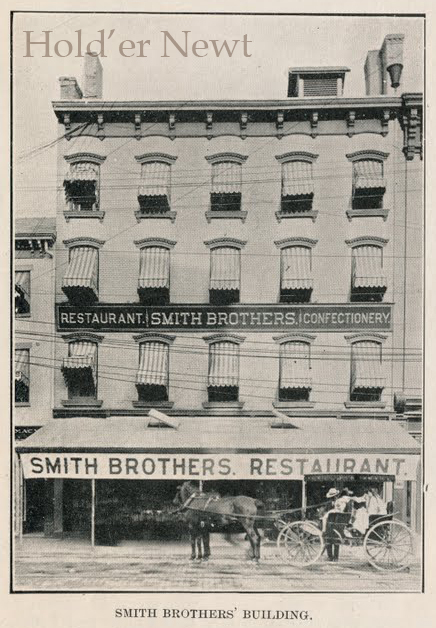 A structure which survives today (on the west side of the street a few doors up from the Bardavon with the peaked roof) still has evidence of a painted sign, clearly painted over at least once that read “Smith Brothers Restaurant”. 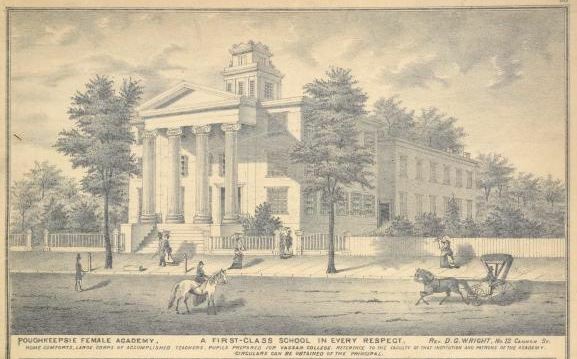 The below entry can be found in the Illustrated and Descriptive Poughkeepsie, N.Y booklet, page 29. As it states, between the cough drop plant and the restaurant they provided almost 300 jobs for city residents which vaporized as time marched on. Another example of how different the world was at the turn of the 20th century lies in the fact that the most successful restaurant/caterer in Poughkeepsie didn’t serve a drop of alcohol. There is no note or description about what’s going on in the 1906 image above, but there is a child with an American flag on the lower right. In the south view above you can also see a large American flag hanging in the middle of the Smith Brother’s Restaurant building. Chances are, the crowd is waiting for a parade. Also interesting are all the modes of transportation visible if you click to enlarge the set – from left to right are a horse and buggy, an early automobile, a trolley car and a bicycle. Structures that escaped urban renewal include the Collingwood/Bardavon and the bank building on the right. The building on the left is the 20th century expansion of the Nelson House hotel, abandoned since the 1980’s. There have been plans to demolish it and replace it with a parking lot. Sadly, the original historic hotel to the north of this was taken down in the 1960’s and the County office building (the white building with no windows on its south side) took its place. Illustrated and Descriptive Poughkeepsie, N.Y., Enterprise Publishing Co, Pougkeepsie NY 1906. Thomas E. Rinadi & Robert J. Yasinsac, Hudson Valley Ruins – Forgotten Landmarks of an American Landscape, University Press of New England, NH 2006 p.
Next time, a Thanksgiving break! Then two more posts in this series.